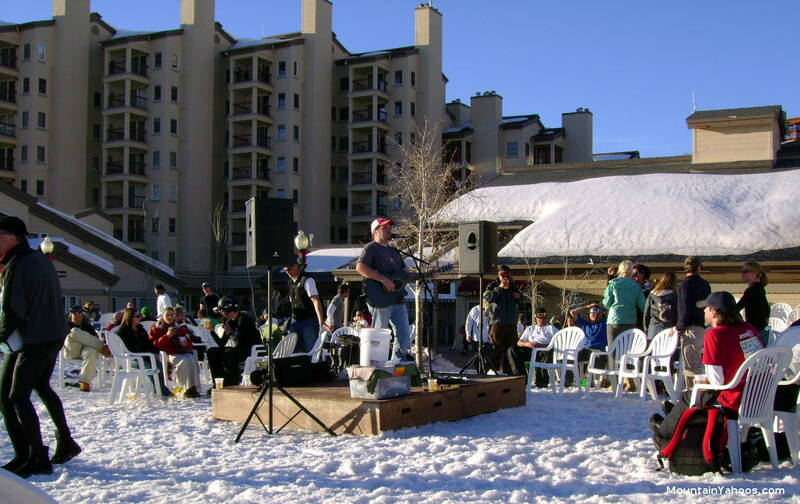 Apres ski activites start slopeside at "The Bear River Bar and Grill" often with live music or at the "T-Bar", a trailer turned watering hole and a good mountain base option as well. There are options in town but they get typically have a late start. 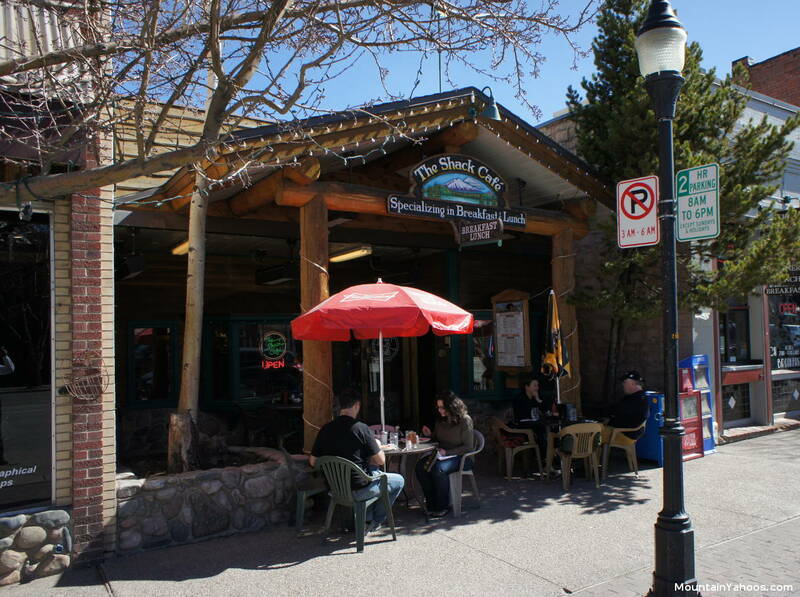 Apres spring skiing at the Bear River Bar and Grill at the foot of the mountain. 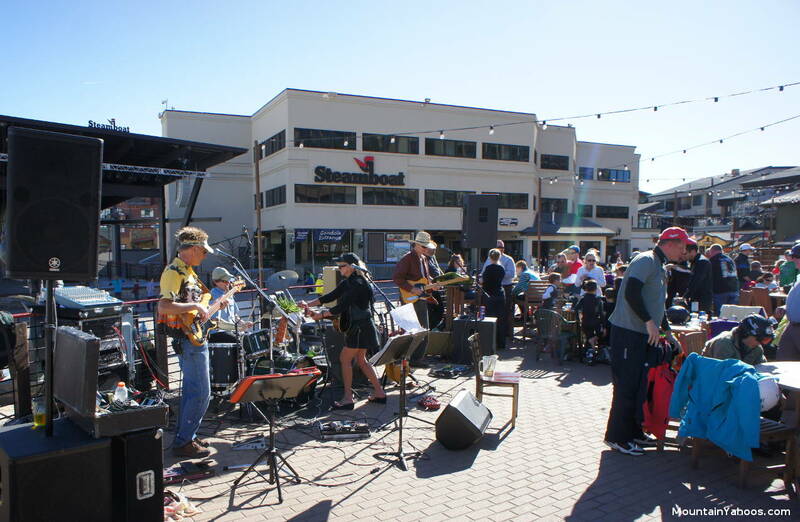 A live band often accompanies the festivities. 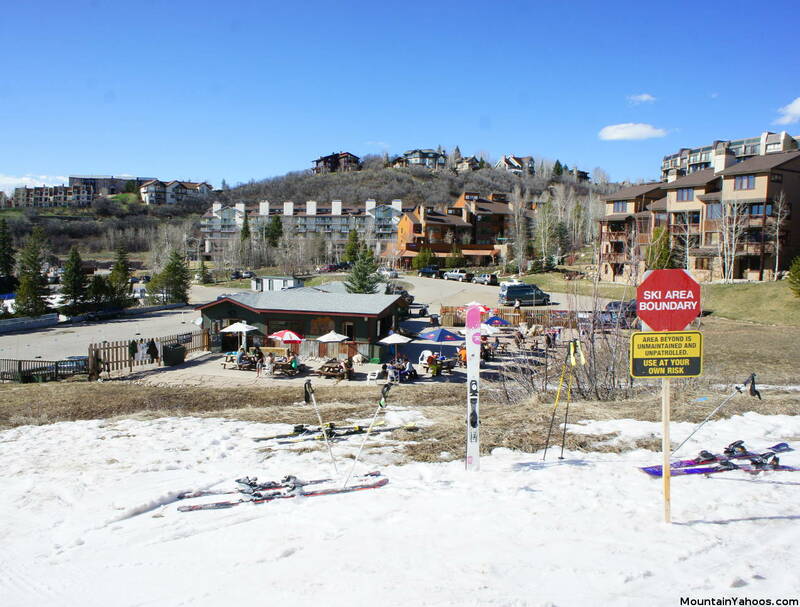 Apres spring skiing at the T-Bar off of the lower Green run "Right-O Way" (another kind of out-of-bounds excursion). 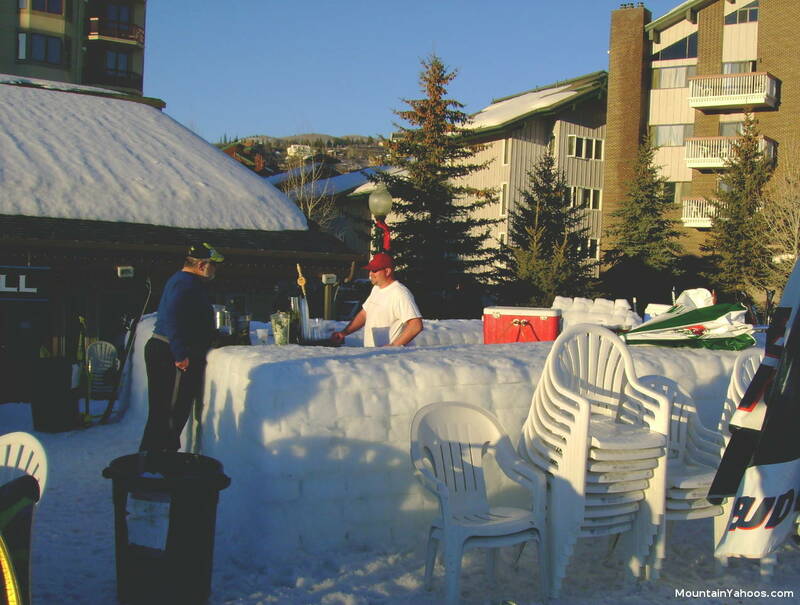 Apres Ski Bar recommendations: Try the "Ice Bar" at "Slopeside Grill" at the base of the mountain for live entertainment and a bar made of 3000 blocks of ice. 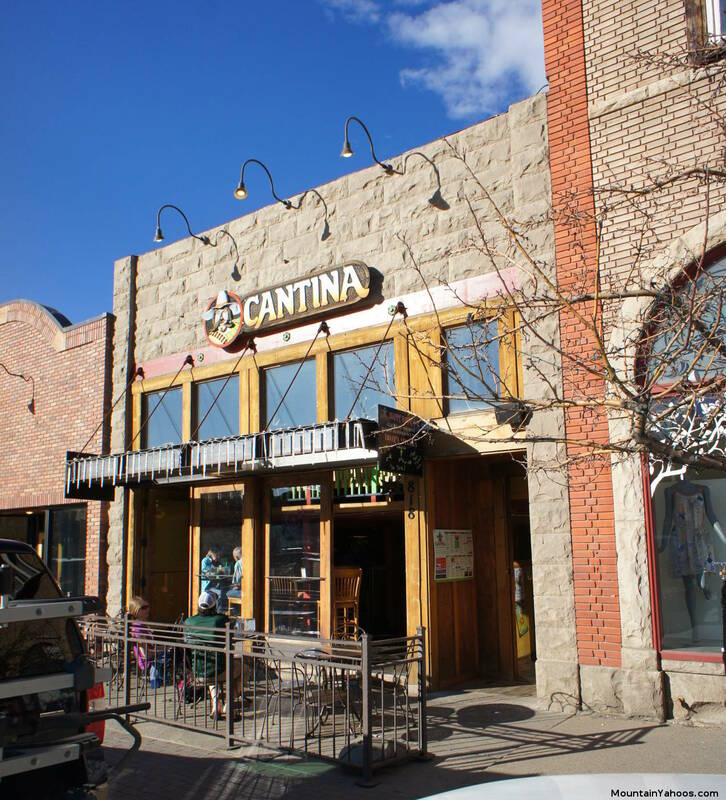 This town has no shortage of places to eat. Just wander down Lincoln Avenue and you will find plenty of choices. Ragnar's: Sleigh pulled by Snowcat from Thunderhead. Includes entertainment. 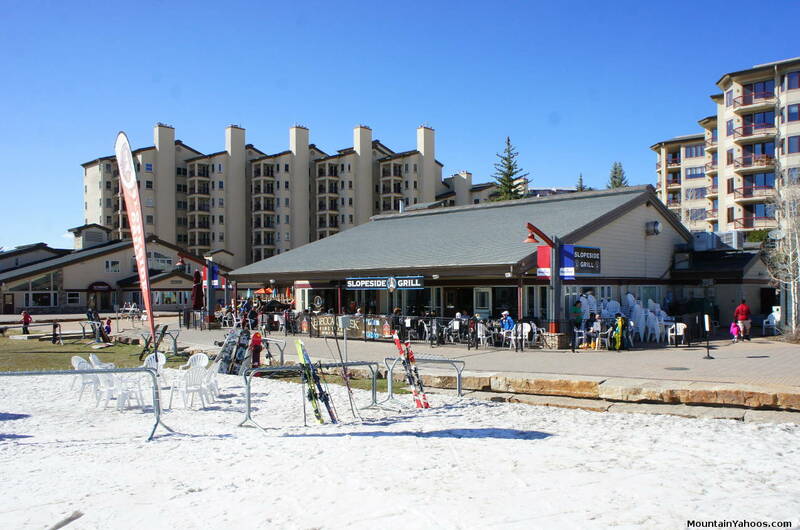 Check out Slopeside Bar & Grill or Tugboat (Apres ski, live music) at the ski village square. You can also wander down Lincoln Avenue and pick something to suit your taste.